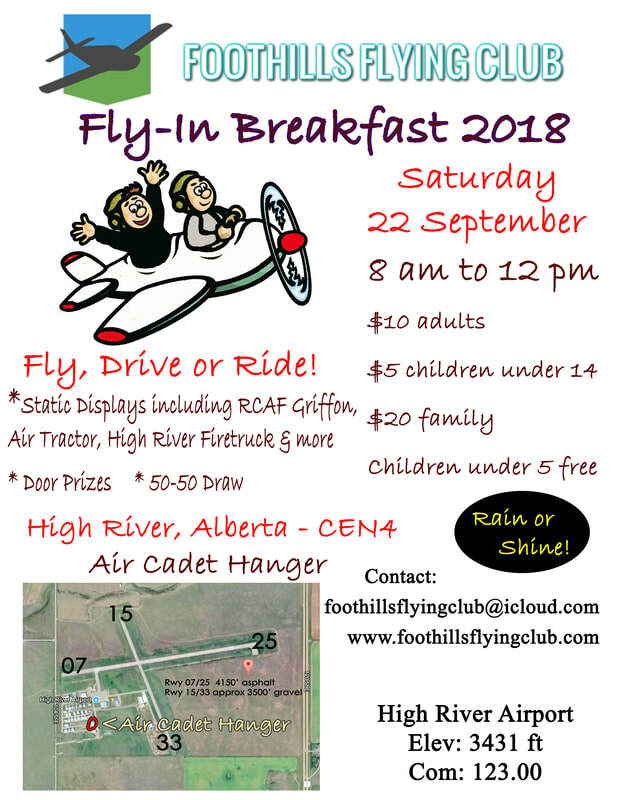 ​Fly, ride or drive to the annual Foothills Flying Club Fly-In Breakfast Saturday Sep 22. Rain or shine we'll have the griddle hot to cook up your brekkie favourites, including vegan options! Families welcome. 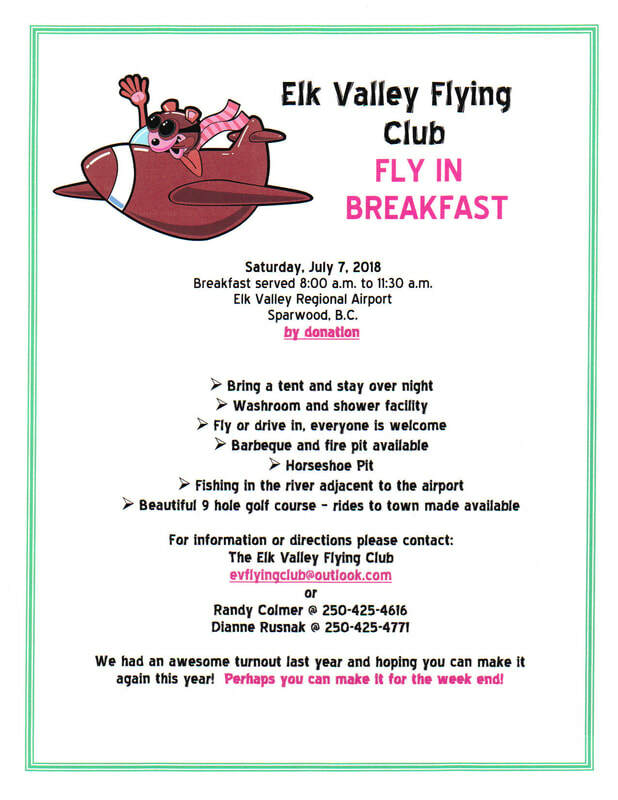 Aviation camaraderie, door prizes and a chance to check out some cool airplanes. Our regular monthly meeting is at the Elk's Hall in Okotoks. Starts at 7:30pm and usually ends around 9. Just a reminder, our meeting is tomorrow night @ 1930h, at the Elks Hall in Okotoks. I'm hoping we are having a guest speaker, but if not, we have lots to talk about. If you haven't paid your annual membership fees, please bring money or a checkbook. Reminder: January monthly meeting tomorrow Monday January 29th @ 1930 at Elk's Hall Okotoks. Annual elections, C-FYUE updates and discussion of plans for 2018! 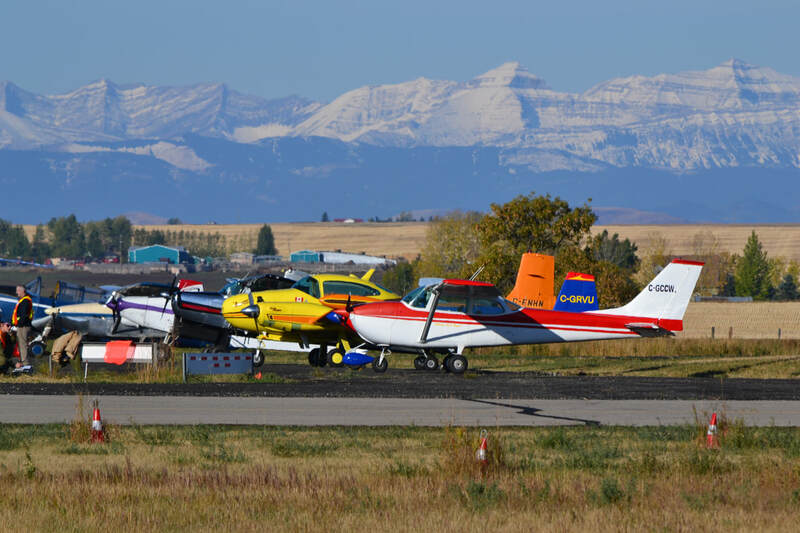 ​For those who have used Claresholm airport (CEJ4) there is trouble brewing as auto racing threatens to take over the only active runway. For further information please "Read More". ​Christmas is around the corner and we are having our annual social at The Royal Duke this year. Unfortunately, our original date is already booked, so we picked the weekend after. Spouses and partners urged to attend, and WE NEED RSVP, there is a minimum attendance level to secure the back area just for us. Reminder about our meeting on Monday, Oct 30 @ Elks Hall @ 1930h. We are planning to do the FLTPLAN vs FOREFLIGHT battle of the ages. Bring your devices - tablets, phones, laptops, whatever you use. We have access to the 1 TV, I will bring an additional one. If you have extra "cables" that can connect your device to the TV via HDMI or whatever, bring that too. SEE YOU ALL ON MONDAY NIGHT!!!! 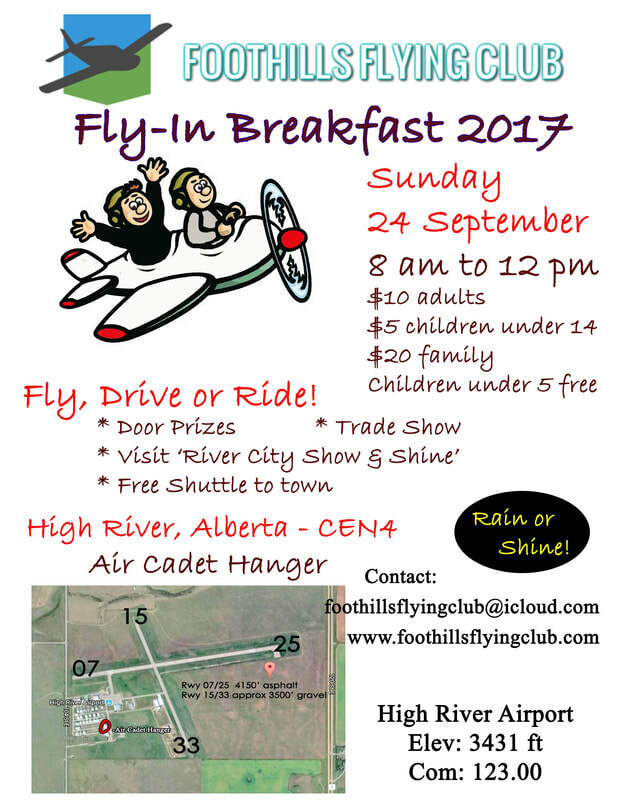 Our sponsors to date are Calgary Pilot Supply Ltd, Chinook Honey Company, Swiss Chalet Shawnessy and WestJet. Thanks for making this event extra special! !